It might be in the corner of a local laundromat or on a bench in a public park. The meetings are clandestine, careful, but not threatening. It’s not international espionage, even though it has the air of a spy movie—this is how advocates are meeting domestic violence victims as part of a "mobile advocacy” approach used by several domestic violence organizations throughout the U.S. While there will always be a need for shelters, Faisal says even the best-run shelter in the world can be additionally traumatizing for survivors, isolating them from their support system of family and friends, or relocating them away from their job, children, childrens’ schools or pets, all of which are considerations that can prevent people from safely and effectively escaping their abuser. 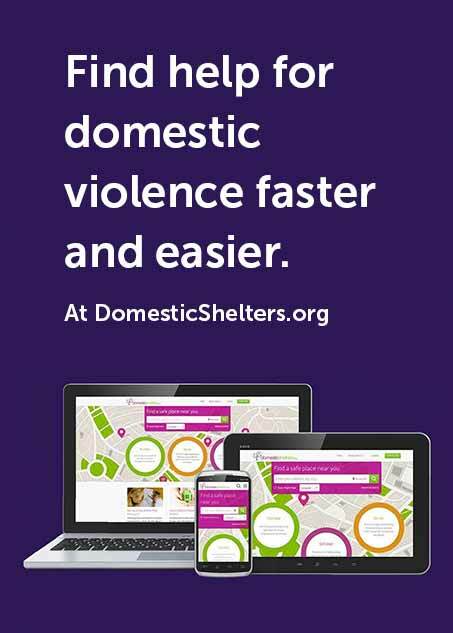 Instead, mobile advocacy focuses on rapid rehousing, a concept that helps survivors to find a new, safe place to call their own that’s not a shelter or the home they share with an abuser. It also provides mobile services to those not in need of housing or shelter resources, including finding long-term unemployment or mental health solutions.